In academic circles and then through the press and many publications in the popular, widely circulated Biblical Archaeology Review, each debate came to be associated with an individual: first, the „Biblical Archaeology“ debate with W.G. Dever of the University of Arizona in the United States; second, the „minimalist-maximalist“ debate with P.R. Davies of Sheffield University in England; and finally, the „Tenth Century“ with I. Finkelstein of Tel-Aviv University in Israel. Each of these individuals is known as a competent scholar, an energetic and voluminous writer, an engaging speaker, and a skillful rhetorician. Liverani“s dispassionate description of the issues raised in the debates illustrates well the pall that they have cast over the study of what he calls „the history of Biblical Israel“. Questioning both theoretical and practical issues in the historiographic enterprise, some scholars have successfully undermined confidence in the validity of most historical interpretations as well as in the ability of historians to even determine what constitutes a datum or an event relevant to that past the historians must explain1. Liverani“s article suggests to me that their effectiveness has been due largely, or partially, to the confluence of the three into a single Bible and Archaeology debate. My objectives in this article are to disentangle issues beclouded by fuzzy terminology by considering each of the three in its unique intellectual context, and to indicate how this approach promotes an intellectually healthy climate within which historical research may advance. The „Biblical Archaeology“ debate, provoked by Dever in the 1970″s, was about whether „Biblical Archaeology“ might be better termed „Syro-Palestinian Archaeology“2. Good reasons were elicited in favor of the change and it had much support among professional archaeologists and archaeological cognoscenti. (1) Archeologists generally use adjectives referring to a period (e.g., Chalcolithic, Middle Bronze) and/or geographical region (e.g., Babylonian, Egyptian) and/or culture (e.g., Hittite, Roman) to describe the focus of their work; never an adjectivized book title. There is neither „Beowulf Archeology“ nor „Illiadic Archaeology“. In archaeological parlance, „Biblical“ was a vacuous word. (2) Individuals employing the expression intended „Biblical“ to refer primarily to the historical periods during which personages mentioned in the Bible lived in the „Biblical world“. This latter term, became widely used in American scholarship under the influence of W.F. Albright, broadly recognized as the founding scholar of scientific Biblical archaeology in the land of Israel. As Albright used „Biblical Archaeology“, it encompassed all countries and cultures of the Middle East mentioned in the Bible or relevant to events portrayed there. Excavations in Spain and Syria, Tunisia and Arabia could be classified under its rubric. Used this way, „Biblical“ blanketed too much territory and was, as a result, not informative. (3) „Biblical“ refers to nothing that archaeologists do as archaeologists, i.e., as experts in excavating, cataloguing finds, tracing the development and evolution of material culture. In view of these sound reasons, it appears puzzling that Dever“s reasonable case failed to carry the day. There were three major types of objections to it: the first, institutional, reflecting enlightened self-interest; the second, semantic; and the third, by far the most complex, theological. Institutional objections: Most full-time archaeologists from the United States and virtually all from Europe and Israel were inclined to favor Dever“s suggestion; Biblicists and theologians, however, were divided. Furthermore, the overwhelming majority of excavators interested in Biblical periods who work in Israel and Jordan were not full-time archaeologists. Most are employed at seminaries or denominational institutions where they teach Bible or courses with names like „Ancient Israelite Civilization“ and the like. They were reluctant to adopt and promote terminology suggesting that archaeology was irrelevant to their work as Biblicists. Furthermore, the terminology proposed by Dever might have fostered perceptions of archaeology inimical to their tasks of procuring financial support from generous patrons and granting institutions and of recruiting individual volunteers for digs. Semantic objections (or justifications): Among those who recognized the essential validity of Dever“s concerns, many wished to maintain the term „Biblical Archaeology“. They argued on Albrightian grounds that it was both useful and meaningful when referring to Iron Age archaeology in Israel and Jordan. „Biblical archaeology“ was appropriate because although it alluded to canonical scripture, the collocation was commonly understood as referring to a particular people in a particular place and time: Israelites in the Land of Israel from the Iron Age until the days of Ezra and Nehemiah in the Persian period which followed the Iron Age, i.e., c. 1200-332 BCE (when the referent of „Biblical“ was the Hebrew Bible). It could even cover Jesus, Paul and the early church (when the referent was the New Testament). With this sense, it resembled terms such as „Roman“ or „Greek“ applied as adjectives to branches of classical archaeology. Consequently, the debate was just so much semantic quibbling. Finally, there was no valid reason to eliminate the adjective „Biblical“. Just as ancient written sources are used by classical archaeologists when interpreting their finds, the Bible is used in interpreting finds from Iron Age Israel. Archaeology … considered subjectively … is the knowledge of whatever in antiquity is worthy of remembrance, but objectively is that knowledge reduced to a system … in a limited sense has special reference to religious and civil institutions, to opinions, manners and customs and the like 3. Jahn“s book, first published in German in 1802, assumed this archaeological agenda and illustrated what it could accomplish using the Bible itself as its primary source and resource, but also ancient monuments, coins, the writings of Philo, Josephus, Rabbinic and some Patristic literature, and journals of travelers. For Jahn, archaeology could be done in the scholar“s study. It was simply a matter of word study and philological analysis. This knowledge, according to Keil, excluded history per se, but included physical geography, religious institutions such as places of worship, personnel, rituals, and calendar; social institutions such as houses, food, clothing; family institutions and organizations and concerns, and civil organizations such as law, courts, army, etc. The significance of this archaeology was to set forth the objective distinctiveness of Israel as a witness to revelation, but „the method of description must be historical in keeping with the historical character of Biblical revelation“5. In 1896, Lansing published a slim book, Outlines of the Archaeology of the Old Testament in which he listed archaeology as a branch of exegetical theology. He wrote: „Biblical Archaeology is the science of sacred things as over against sacred words“ (emphasis in the original). The „things“ included the same subjects treated by Keil along with the antiquities of other nations „so far as these have any direct bearing on any passage of Scripture“6. In this volume, the direct connection between „thing“ and exegesis is emphasized, history in general left somewhat aside. Even as the first volume of Jahn“s first German edition was being published, other European scholars were engaged in activities about to expand the meaning of „archaeology“. In 1801, E. Clark set out to travel in the Holy Land in order to discover ancient cities and holy sites. He was followed by U.J. Seetzen in 1802, J.L. Burckhardt in 1809, and a host of others. The most famous of these, E. Robinson, Professor of Bible at Union Theological Seminary in New York, first traveled there in 1839. Between 1870 and the 1930″s, after Schliemann excavated Troy and with a publicist“s sure sense of audience claimed to have authenticated Homer“s stories, an excited popular audience hungered for additional historical conclusions from excavations in Egypt, Mesopotamia, and Palestine. In perusing books and booklets with titles approximating „Biblical Archaeology“ written from the late nineteenth through the early twentieth century, I noticed how their contents differed from Jahn“s, reflecting a semantic drift in the term „archaeology“ over 50 years8. In these, the difference between „archaeology“ and „history“ seems to have been that „history“ referred to knowledge of past political events, in accord with the Rankian program for history writing that evolved in Germany c. 1825-1850. „Archaeology“ referred more to the realia and processes of daily life9. Knowledge gained from „dirt archaeology“ was included with the realia. It produced information that clarified philological archaeology and was applied likewise to illustrate and background Biblical historical narratives, all of which were considered accurate descriptions. To the extent that I am able to discern, the twenty-five or so books examined were all written by Biblicists, individuals involved in the study, exegesis and theological explication of scripture. What changed over 170 years, from the time that Jahn published his first volume until the emergence of the debate, was the content of the term „archaeology“. The new meaning replaced the old in popular parlance, but continued to coexist with it in denominational settings in the frozen term „Biblical Archeology“ along with the understanding of how such „Biblical Archeology“ was to be used in Bible study. Although unremarked upon in scholarly literature and in public discussions, some of Dever“s critics were simply unwilling to ignore part of the semantic field of „archaeology“. Considering „Biblical archaeology“ a perfectly good term with a long tradition in Biblical studies, ministerial training, and Christian education, they were not particularly bothered by issues raised by Dever and may have considered his call for change much ado about little. Theological Objections II: By the 1950″s, under the influence of Albright, „Biblical Archaeology“ had come to include under its rubric studies of the Ugaritic literary texts as well as the newly discovered Dead Sea Scrolls among which were the oldest known biblical manuscripts. These two discoveries from the chronological limits of the Biblical period shed crucial light on the cultural background and literary history of ancient Israel and on the textual history of the Bible; consequently, they were thought to illustrate the Bible“s historical accuracy in some vague, undefined way. Similarly, the physical presence of excavated objects, such as small altars similar to the tabernacle altar described in the Bible, figurines taken to be examples of images prohibited in Biblical legislation, and material evidence for sequences of events such as the destruction of a Canaanite city at the beginning of the Iron Age, were taken as mute testimony to the accuracy of what the Bible „said“ about them in Deuteronomy, Joshua and Judges. Conservative scholars in particular, but liberal scholars as well, assumed that if archeology could demonstrate that something might have occurred, that was proof sufficient that it had occurred if the Bible so indicated10. The halo effect of such „Bible is true“ thinking in combination with the conception of „Biblical Archaeology“ as a handmaiden of exegesis continued to extend the authenticating implications of dirt archaeology from particular details about realia to features of non-material culture such as history, historiography, and theology11. This testimony became grist for the mills of the liberal, positivistic „Biblical Theology“ movement that achieved great popularity starting in the 1950″s and has had a profound influence on what has been taught subsequently in both Christian and non-Orthodox, Jewish settings since then. What distinguished this movement from more conservative approaches was its ability to discern a difference between the reliability and accuracy of the Bible“s historical descriptions as tested by archaeological investigations and the theological predications of the text12. Predications were raised to prominence as „proclamation“ while events tested and not found wanting were esteemed as witnesses to the proclamation. Events found wanting, such as the enslavement of Israelites in Egypt, were classified as „myth“, their lack of historicity ignored, and they were milked for their kerygmatic predications alone. In proposing the term „Syro-Palestinian archaeology“, Dever explicitly declared that he had given up on the term with its associative links to exegesis and theological explication. He may have been perceived as attacking religion. He certainly was perceived correctly as attacking those arguing from denominationally normative (or Biblical) theology to archaeological interpretation. But, to the best of my knowledge, he did not raise this as a general issue in public presentations. By the late 1980″s, after the decline of Bible Theology as a dynamic and aggressive movement, the situation sorted itself out in the following manner. „Syro-Palestinian“ archaeology became a broadly accepted term referring to a discipline that usually requires either a combination of postgraduate training and a few seasons of field and lab experience or many seasons of field and lab experience and relevant publications. It remains restricted to professional circles and has become the term of preference in departments of archaeology, anthropology and history. „Biblical Archaeology“ evolved into a term used primarily in popular culture, in titles of public lecture, magazine articles, books, and undergraduate or seminary courses. The term came to signal that both textual and archaeological matters would be dealt with in presentations with this title, but not the proportion of archaeology to text and not the professional orientation of the author or lecturer. Considering that all Syro-Palestinian archaeologists working in certain historical periods must of needs exploit information in the Bible when interpreting some of their finds, they are ipso facto Biblical archaeologists; but, not all Biblicists using archeological information who may fashion themselves „Biblical archaeologists“ can claim to be „Syro-Palestinian archaeologists“. Even Dever made his peace with this situation13. As imperceptible as it was in the 1980″s, the debate had precipitated changes beyond professional terminology. It had disseminated the notion that the Albrightian synthesis of Biblical studies and archaeology no longer maintained its integrity: Biblicists could go it alone as could archaeologists. In Biblical studies there was a turning away from historical analyses to literary ones; in Iron Age archaeology, a turning from historical explanations of excavation data based Biblical historiography toward political-economic interpretations based on social-anthropological theories. Some Biblicists accepting Dever“s distinction undertook social histories of Israel based on a mix of archaeological data and social-anthropological theory. Posing the abovementioned historian“s questions about the Bible in this socio-historical setting, minimalists conclude that the books of the Hebrew Bible were written during the Persian (or Hellenistic) period. The historical books actually contain made-up stories (that may have exploited some vague, ancient legends) through which the local organized refugee population provided itself with a mythic cover-(hi)story that linked it to the land and to a religion. This conclusion has two important corollaries: (1) Bible narratives about the political, social, and intellectual world of ancient Israel from Abraham to the temple“s destruction lack probative value. (2) Any narrative about what actually happened to the real people living in the central mountain areas of ancient Israel during what archaeologists call the Iron Age must, accordingly, be based on archaeological data alone. No other authentic sources for their history are available. Thus, so far as these different periods are concerned, the only differences between the minimalists and most other historians is the date assigned for the composition of the stories and narratives and their evaluation of the amount of „real history“ embedded in them16. These differences have far reaching implications. Minimalists go beyond the historical-critical consensus in arguing that the complete history, from Abraham to Moses to Joshua to David and Solomon and the other kings is all cut from the same cloth for the same reason. The people Israel, its leaders and heroes are literary fictions or inventions or constructs. Stories about them, their victories, defeats, religious policies are all late concoctions written at the earliest in the Persian period. Historical Israel, the actual flesh and blood people who dwelt in the central mountains during the Iron Ages, didn“t come from Egypt. They were descendents of earlier, Bronze Age inhabitants of the places where they lived. Their culture and religion was a slightly evolved form of the earlier, Bronze Age Canaanite ones17. This set of axioms and derivative corollaries is encapsulated in the minimalist distinction between a „Biblical Israel“, created by literati of the Persian period and preserved in the Hebrew Bible, a „historical Israel“, that actually lived in the central hill country of the Land of Israel during the Iron Age about which very little is knowable, and an „ancient Israel“, the scholarly „construct“ of people enthralled by Bible stories, hamstrung by theological teachings based on the combination of the first two, and by individuals overly involved with „Biblical Archaeology“18. Minimalism has at least five sets of intellectual roots: (1) conclusions about when most books were written that were accepted by liberal Protestant scholars at the end of the nineteenth century20; (2) the employment of socio-anthropological models of how societies evolve and tell stories about themselves that were popularized in Biblical studies during the 1970″s by Gottwald“s studies of Israelite society in general and the emergence of ancient Israel from Canaanite groups resident in the central hill country in particular21; (3) evaluations of archaeological data that since the 1950″s question, qualify or deny the historicity of the exodus and conquest narratives and that since the 1970″s-80″s deny that of the patriarchal traditions22; (4) a strategy for reading Biblical historical narrative against the grain similar to the Deconstruction strategies developed by J. Derrida emulated widely in departments of literature and history during the 1970″s and 1980″s; (5) the climate of extreme skepticism, a skepticism sometimes bordering on cynicism characteristic of much Western historical analysis since the late 1960″s23. Although minimalist claims are derived through reasoning processes practiced by contemporary historians, they shocked Biblical scholarship by their boldness and in their assignment of Biblical historiography to the genre of apologetic mythmaking and „big lie“ history writing. In addition, Davies inflamed non-academic passions by attacking potential detractors in politically strategic „anti-political“ moves. For example, anticipating disagreement over his understanding of the intent of ancient authors in writing texts, Davies opined that his opponents introduce theological concerns to their analyses, arguing that for them reconstructing „ancient Israel“ is not a historical undertaking but an affirming theological one, and with regard to the way they set about engaging in their work that „religious commitments should not parade as scholarly methods“24. Davies thus challenged his readers to decide if they were truly historians or believers masquerading as historians. In other words, everybody who might disagree with him was either a literary fundamentalist at worst or an unsophisticated reader at best. Furthermore, the statement suggests that the book, in some way, was written as an attack on certain types of Christian beliefs. Anticipating that his reconstruction of history would not win favor and that regnant views about historical Israel would prevail, he cast himself as an intellectual martyr and explained the conditions which would defeat his challenge: „The pen is indeed mightier than the sword, fiction mightier than truth, and belief more important to human motivation than knowledge“25. Davies“ statements comprise an attack on the intellectual integrity of those who might disagree with him. His polemical tone, assumed also by some other minimalists, induced visceral responses that were equally apodictic and largely beside the point. Minimalism continues an element of the „Biblical Archaeology“ debate in Dever“s advocacy of unblindered scholarly objectivity when analyzing data bearing on ancient Israel. It has reconstructed a past historical world on the basis of Biblical texts alone. Its major independent involvement with archaeology has been to discount, on non-archaeological grounds, the importance of any archaeological data that might contradict its findings. No minimalist has appropriated what little is known about the Persian period from archaeological excavation and archaeological surveys conducted in Israel since the late 1960s to support any of its particular arguments. This tendency to deny contradictory evidence reached a sour-noted crescendo when archaeologists were accused of manufacturing inscriptions whose contents undermined minimalist assertions. At Tel Dan, fragments of a ninth century BCE Aramaic victory inscription were discovered that mentioned the „House of David“. The find embarrassed minimalists because of their claim that David and Solomon most likely never existed, but in the event that they had indeed existed, could not have been much more than a local tribal chiefs in Jerusalem. Reference to the „House of David“ in the Dan inscription suggested that the Davidic dynasty was so well known and powerful that an Aramean king considered bragging about his success against its army worthwhile. Some minimalists accused A. Biran, director of the Hebrew Union College excavations at Dan, of having forged and planted the inscription. The misnamed „maximalist“ side in this debate consists of the overwhelming majority of scholars from both sides of the „Biblical archaeology“ debate on both sides of the Atlantic26. Most maximalists do not maintain that every event recorded in the Hebrew Bible occurred. They differ among themselves as to what in Biblical historiography reflects actual events and as to how relevant information from other disciplines bearing on the different periods of Israelite history should be used. They concur, however, that all contemporaneous extra-Biblical sources must be included in discussions of Israelite history, that minimalist super-skepticism is unwarranted, and that its descriptions of Israelite history and historiography are overly general, descriptively inadequate and often incorrect factually. Most scholars maintain, on the basis of (1) comparative ancient Near Eastern literature and (2) comparative ancient Near Eastern historiography from more than a millennium before the Persian period, from (3) inscriptions found in Israel and in neighboring countries dated to the Iron Ages that relate to specific historical events, some even mentioning people named in the Bible, (4) from the attested evolution of the vocabulary and grammar of the Hebrew language, and (5) from a critical historical comprehension of the Persian period in Yehud, as well as on the basis of (6) archaeological data, that although most of the historical books from Joshua through Kings were written or edited at the latest in the exilic or early pre-exilic period, they do contain earlier and much earlier materials and, consequently, reflect authentic, archaic, Israelite traditions from the late monarchy, c. 922-586 BCE27. This position allows that knowledge of „historical Israel“ and „ancient Israel“, as defined by minimalists, owes its discovery to the research of scholars, but not that these modern scholars have composed a theological fiction. Recently, Lemche felt constrained to defend minimalism and (specific) minimalist scholars against two sets of charges: the first, that its general claims and specific interpretations of data are driven by ideological — Marxist, anti-Christian establishment, anti-Israel, pro-Palestinian, anti-Semitic — positions; the second, that many of its strongest claims involving ancient Near Eastern languages and cultures, sociological and archaeological data are advanced by underqualified individuals. Lemche, allowing that some minimalist scholars do have their own private programs, argued that the term „ideological“ in the published accusations is vague, but that no matter how the term is used, there is nothing „ideological“ about concluding that the Persian period is the single period that best explains the „mental matrix“ for most Old Testament literature and „probably all of its historiography“28. I consider this a valid rebuttal29. Insofar as minimalists advance their position primarily on the basis of inferences about data from Biblical texts filtered through analytical tools developed for the literary study of the „fiction“ genre, and only secondarily on the basis of a perceived absence of contradictory data from archaeology, the Minimalist-Maximalist debate is between Biblicists30. No Syro-Palestinian archaeologist espouses a historical position vis-а-vis the origins of Biblical literature faintly resembling that of the minimalists — a position which, in any event, would have nothing to do with archaeology per se — and none have supported their particular interpretations for the absence of archaeological data. The „Tenth Century“ debate was precipitated by Israel Finkelstein. Since the early 1990s he has charged that archaeological data interpreted as indicating the presence of a strong centralized kingdom in Israel and Judah during the tenth century BCE have been dated incorrectly. Materially, the debate focuses on whether or not excavations at a number of major Iron Age sites such as Beersheba, Dan, Hazor, Jerusalem, and Megiddo allow concluding that (1) there was no monumental architecture, i.e., water works, city walls, palaces or temples, during the tenth century; and (2) that the earliest evidence for these types of construction projects dates from the middle of the ninth century. Writing in 1891 about what is now considered the first scientific excavation in the Holy Land, Petrie stated: „The excavations at Tell el-Hesy (sic!) proved to be an ideal place for determining the history of pottery in Palestine. And once settle the pottery of a country, and the key is in our hands for all future explorations“31. Since Petrie published his gross categorizations and sequencing of pottery types and shapes chronologically, the relative ceramic chronology of the Land of Israel has been worked out with painstaking care. In the absence of more definite evidence, this chronology is used to determine the general dates of adjacent structures. Since monumental projects are attested in the archaeological record at major Iron Age sites, Finkelstein“s case rests on his ability a) to create a new ceramic chronology for what heretofore have been considered typical Iron Age I and IIA types of pottery in associated assemblages, not only in Israel but also at other sites in the Levant; and b) to bring order to sites where the consensus acknowledges that the stratigraphic sequencing for the tenth century is unclear, but without creating disorder at sites where it is clear. The archaeological community as a whole rejects Finkelstein“s ceramic chronology on well argued archaeological grounds35. The consensus maintains that published, and reported but still unpublished, archaeological evidence supports both a tenth and ninth century dates for the tell-tale pottery as well as for the construction of monumental projects at the above-mentioned sites36. In the few places where evidence for such projects is unaccountably missing, the absence may be attributed in part to erosion, ancient robbing, and, in the case of Jerusalem, to Roman engineers who preferred building on stable, hard, flat, surfaces. They shaved large areas almost to bedrock, removing the debris of earlier construction, in order to create uncluttered platforms for their own structures37. It has been suggested orally at a few archaeological meetings that since no clear tenth century BCE stratum was found at Jezreel, the absence of the burnished red slip ware in what was found sealed under the ninth century stratum may be due to Ahab who ordered a similar clearing of the site prior to constructing a palace and administrative center38. In any event, the absence of evidence may not be interpreted facilely as evidence of absence39. Since the archaeological record, as interpreted by Finkelstein, indicates that no major building projects were undertaken during the tenth century, his conclusions bolster minimalist claims about the fictional nature of Biblical narratives about David, Solomon, Rehoboam and Jeroboam. Because of this connection, the „tenth century“ debate has been confused with the „minimalist-maximalist“ one and has led to Finkelstein being labeled a „minimalist“ incorrectly. Despite their adoption of his conclusion to further their argument, Finkelstein is not a participant in the minimalist-maximalist debate. That debate, however, has influenced some marginal elements in the archeological discourse, confusing matters a bit more. Finkelstein cites minimalist conclusions favorably as a secondary or tertiary explanation for the „missing“ tenth century, but does not participate in their Biblical discussion per se40. He argues, in a recent book co-authored with the archaeological journalist Silberman, that the combination of local traditions into a narrative glorifying Judah and the first tendentious history writing by the Deuteronomistic writer began in the sixth century BCE under the influence of Josiah“s court. The ancient Judahite historian had access to some authentic information of a historical nature from his own kingdom as well as from the northern kingdom, Israel, that had been destroyed by the Assyrians more than a century earlier41. This clear articulation puts him somewhere in the maximalist camp. Finkelstein has succumbed, however, to the appeal of a minimalist rhetorical ploy, that of describing an opponent as taking the position of „the custodian of the ideal, harmonic picture of Bible archaeology, which argues for a glorious Solomonic state, against an intruder who threatens to shatter the sentimental images“42. This sentence alludes to the Rabbinic midrash of a young Abraham who, after discerning the truth of monotheism through reasoned analysis, destroyed the idols in the workshop of his idolater father, Terah. The term „Bible archaeology“ in the above citation is intended to evoke the dispute of two decades ago from a completely secular perspective. Notwithstanding this crossover of rhetoric, the „minimalist-maximalist“ debate is unlike the „tenth century“ one with regard to the training of the disputants, the nature of the evidence, the quality of the evidence, and the type of the rhetoric. The former involves Biblicists, linguists, and epigraphers; the latter archaeologists. Furthermore, in this debate, the issue of competency has not been raised, only that of conclusions. For the last fifteen years or so, there has existed in Israel a penchant among young historians for radical revisionism of Israeli and Jewish history in general and Israeli socio-political history in particular. Revisionism of pre- and post-1948 history, which is regularly reported and discussed in the press and on television talk and debate shows, may be characterized by its willingness to attack the consensus frontally, aggressively and often publicly with new evidence, even when the evidence is ambiguous or inconclusive or incomplete. It is somewhat reminiscent of the revisionism in European and American history that characterized the 1960″s. This supportive atmosphere may have encouraged Finkelstein to push his case as hard as he has. In any event, his efforts have expanded the front of such revisionism so that it includes ancient Israel as well. The preceding analyses have considered the three debates as individual conversations within the „history of Israel“ research paradigm. As such, they have occupied members of the scholarly community for many years and merit a constructive analysis. The „Biblical Archaeology“ debate exposed both practical and ideological fissures between different approaches to the source materials out of which such a history may be constructed. It led to the recognition that dirt archaeology is not a handmaiden for theologically driven Biblical exegesis and helped eliminate the expectation that the correct interpretation of excavations should result in evidence corroborating Biblical historical accounts. Although it settled matters for professional archaeologists and historians, it left some theological matters unresolved for Biblicists. The importance of the „Minimalist-Maximalist“ debate, still ongoing among Biblicists, is threefold. First, minimalist claims to have exposed the overt influences of a priori ideologies in the interpretation of Biblical literature heightened the sensitivity to Foucauldian concerns. Second, rejected minimalist claims about the Persian period setting for Biblical historiography compelled disagreeing scholars to review the results of literary and holistic interpretations within alternative historical and social settings. Third, it led scholars to reconsider the history of record keeping, chronicling, and history writing in the ancient Near East. As a consequence of this debate, the rehistoricization of different types of Biblical literature has become a more sophisticated and nuanced undertaking. 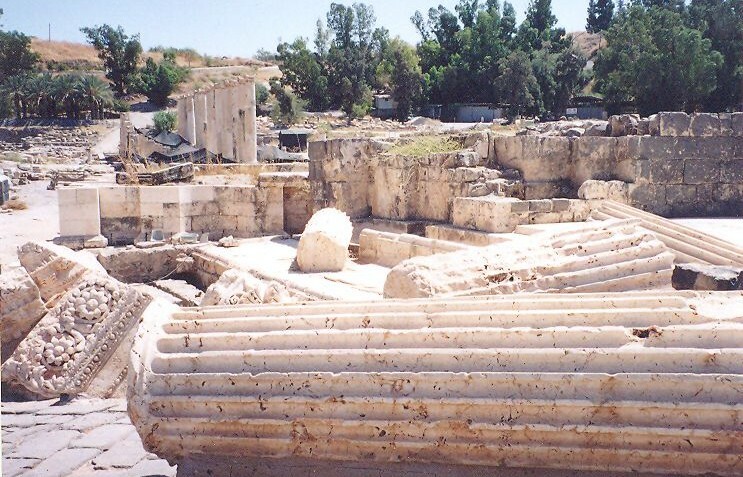 The „Tenth-Century“ debate, an in-house methodological dispute in Syro-Palestinian archaeology, contributes to ongoing historical research by making Biblicists aware that the interpretation of archaeological data, let alone its application in historical interpretation, is a complicated matter about which acknowledged experts sometimes disagree. It demonstrates also, beyond cavil, that archaeological data, understood as attesting to dynamic events, contribute to historical understanding even as historical texts contribute to their interpretation. 1 M. LIVERANI, „Nuovi sviluppi nello studio della storia dell“Israele biblico“, Bib 80 (1999) 490-492, 497-500, 502-505. 3 J. Jahn (1750-1816) published an original five volume Biblische Archдologie in 1802. He abridged this publication into a one vo in 1802. He abridged this publication into a one volume J. JAHN, Archaeologia biblica in Epitomen redacta (Vienna 1814), latter translated as ID., Archжologia Biblica. A manual of biblical antiquities (Andover 1823) by the the American poet and translator T.C. Upham from the Latin. His translation was reprinted with additions and corrections under the shorter title Jahn“s Biblical Archaeology until 1853. The quotation is from an 1839 edition published in New York. 4 K.F. KEIL, Handbuch der biblischen Archдologie (Frankfort a. M. – Erlangen 1858-1859) 2. This book came out in a second German edition in 1875 that was translated with Keil“s additions and corrections and published as ID., Manual of Biblical Archaeology (Edinburgh 1887-1888) I-II. 11 See J.C. MEYER – V.H. MATTHEWS, „The Use and Abuse of Archaeology in Current Bible Handbooks“, BA 48 (1985) 149-159; ID., „The Use and Abuse of Archaeology in Current One-volume Bible Dictionaries“, BA 48 (1985) 222-237. Many of the abuses sighted and cited by these authors address the older, traditional use of archaeological material in denominational settings. 12 This description is borrowed from Weaver who used it to suggest how the historical impasse caused by archaeology might be addressed theologically in the 1990″s; cf. W.P. WEAVER, „The Archaeology of Palestine and the Archaeology of Faith: Between a Rock and a Hard Place“, What has Archaeology to do with Faith? (eds. J.H. CHARLESWORTH – W P. WEAVER) (Faith and Scholarship Colloquies; Philadelphia 1992) 89-105 („The Failure of Archaeology as an Apologetic Strategy“). 13 W.G. DEVER, „What Archaeology Can Contribute to an Understanding of the Bible“, BARe 7/5 (1981) 40-41; ID., „Archaeology and the Bible. Understanding Their Special Relationship“, BARe 16/3 (1990) 52-58, 62. 14 P.R. DAVIES, In Search of Ancient Israel (JSOTSS 266; Sheffield 1992). Actually, Davies was partially anticipated by N.P LEMCHE, Early Israel. Anthropological and Historical Studies on the Israelite Society Before the Monarchy (VTS 37; Leiden 1985). Lemche“s book, however, did not generate the furor and spark the debate. Subsequent to the characterization of these scholars as „minimalists“, he was associated and associated himself with them. G. GARBINI, History and Ideology in Ancient Israel (New York 1988) 1-20, 125-126, 132, 154-169, anticipated the minimalists in attacking theological interpretations of history that countenanced the theologizing historiography of the Biblical texts as historical statements and in dating Biblical compositions to the Persian and Hellenistic periods. His pugnacious essays, published in English translation two years after appearing in Italian, have not become part of the minimalist conversation. 16 P.R. DAVIES, „What Separates a Minimalist from a Maximalist? Not Much“, BARe 26/2 (2000) 24-27, 72-73. 17 Models of cultural evolution and diffusion became popular in much historical and archaeological explanation during the 1970s and remains so. Their application reflects the trend to reject explanations of change in ancient populations through recourse to theories of invasions and migrations. Scholars felt that the changes might be better explained as due to ordered socio-archaeological processes operating on the indigenous, local population. Cf. J. CHAPMAN – H. HAMEROW, „On the Move Again — Migrations and Invasions in Archaeological Explanations“, Migrations and Invasions in Archaeological Explanation (eds. J. CHAPMAN – H. HAMEROW) (BAR.IS 664; Oxford 1997) 1; and the new migration research presented in Migration, Migration History, History. Old Paradigms and New Perspectives (eds. J. LUCASSEN – L. LUCASSEN) (Bern 1999). 19 N.P. LEMCHE, „On the Problems of Reconstructing Pre-Hellenistic Israelite (Palestinian) History“, Journal of Hebrew Scriptures (http://purl.org/jhs) 3 (2000) pars. 4.2. 20 Arguments dating the final edition of the Pentateuch, most historical writings, the final edition of the Prophetic literature, psalms, and proverbs of the Hebrew Bible to different parts of the Persian and Hellenistic periods were prominent at the end of the nineteenth century. They were influenced greatly by judgments of Kuenen and Wellhausen after K.H. Graf presented what were then considered strong sound arguments for the post-exilic dating of the Priestly source; cf. A. KUENEN, An Historico-Critical Inquiry into the Origin and Composition of the Hexateuch (London 1886 [trans. from the 2nd Dutch ed. of 1885]) 313-321; J. WELLHAUSEN, Prolegomena to the History of Ancient Israel (New York 1957 [repr. of 1885; transl. from the 2nd German ed. of 1883]) 13. These 19th century comprehensions maintained themselves in Continental scholarship with increasing sophistication, but appear to have had little influence on English or American scholars; cf. H. BOUILLLARD-BONRAISON, „Les livres bibliques d“йpoque perse“, La Palestine а l“йpoque perse (ed. E.M. LAPERROUSAZ) (Йtudes annexes de la Bible de Jйrusalem; Paris 1994) 157-188; B. GOSSE, Structuration des grands ensembles bibliques et intertextualitй а l“йpoque perse. De la rйdaction sacerdotale du livre d“Isaпe а la contestation de la Sagesse (BZAW 246; Berlin 1997). 21 Cf. his summary study, N.K. GOTTWALD, The Tribes of Yahweh. A Sociology of the Religion of Liberated Israel, 1250-1050 B.C.E. (Maryknoll 1979). Gottwald himself refined ideas initially introduced by G. MENDENHALL, „The Hebrew Conquest of Palestine“, BA 25 (1962) 66-87, providing them with a theoretical basis in socio-anthropological models. 22 Concerning the conquest and settlement, see G.E. WRIGHT, „The Literary and Historical Problem of Josh 10 and Ju 1“, JNES 5 (1946) 105-114; J. BRIGHT, A History of Israel (Philadelphia 1959) 110-127, presented an Albrightian-Wrightian synthesis of data even as the archaeological evidence for the conquest and settlement is described muddily as „not at all points unambiguous“ (ibid., 118). More recent work that minimalists, but not only minimalists, consider to have solved the problem adequately contends that there was no conquest and no settlement. It gives up completely on employing Biblical narratives in any meaningful way for a historical synthesis because they are felt to be incompatible with the hard archaeological evidence. Cf. I. FINKELSTEIN, The Archaeology of the Israelite Settlement (Jerusalem 1988); ID., „The Emergence of Early Israel: Anthropology, Environment, and Archaeology“, JAOS 110 (1990) 677-686. Concerning the Patriarchs, see T.L. THOMPSON, The Historicity of the Patriarchal Period (BZAW 113; Berlin 1974); and J. VAN SETERS, Abraham in History and Tradition (New Haven 1975). Claims that extra-biblical data supported the historicity of the patriarchal period in the Middle Bronze II or Late Bronze periods popular in the 1950″s were dispatched by these two individuals working independently. Few scholars, if any, have challenged the specific conclusions of their important books. The consensus, however, may change eventually as a consequence of new data and new analyses of old data from Mari on the middle Euphrates; cf. D. FLEMING, „Mari and the Possibilities of Biblical Memory“, RA 92 (1998) 42, 46-51, 58-59, 76. 24 DAVIES, In Search of Ancient Israel, 46-47 and 19, n. 4. Although this particular statement seems to distinguish Davies from elements of postmodern discourse that maintain that there are no objective truths, only subjective ideologies, within the context of discussions between Biblicists, it is a rhetorical foil that renders defense of his arguments unnecessary. His opponents are describing what minimalists call „historical Israel“. 25 DAVIES, In Search of Ancient Israel, 161. His anticipation of rejection was realistic, given that he addressed himself to Biblicists and attacked the same audience that preserved the „Biblical archaeology“. N.P. LEMCHE, „Ideology and the History of Ancient Israel“, SJOT 14 (2000) 165-166, also describes anticipating the rejection of his ideas at the very beginning of his career for much the same reason but resolving to plunge into the fray nevertheless. 26 The term „maximalist“ creates the false impression that this group consists of literary fundamentalists. Minimalists ended up with a better label than their opponents. 27 W.G. DEVER, „Save Us from Postmodern Malarkey“, BARe 26/2 (2000) 28-35, 68-69; J. HACKETT, „Spelling Differences and Letter Shapes Are Telltale Signs“, BARe 23/2 (1997) 42-44; R. HENDEL, „The Date of the Siloam Inscription: A Rejoinder to Rogerson and Davies“, BA 59 (1996) 233-237; S. NORIN, „The Age of the Siloam Inscription and Hezekiah“s Tunnel“, VT 48 (1998) 37-48; A. HURVITZ, „The historical quest for „ancient Israel“ and the linguistic evidence of the Hebrew Bible: some methodological considerations“, VT 47 (1997) 301-315; S. JAPHET, „Can the Persian Period Bear the Burden? Reflections on the Origins of Biblical History“, Proceedings of the Twelfth World Congress of Jewish Studies Jerusalem, July 29 – August 5, 1997. Division A. The Bible and Its World (ed. R. MARGOLIN) (Jerusalem 1999) 35-43. Lemche“s response to these types of criticism is to minimize the significance of any objective, empirical extra-biblical evidence by allowing that only a smidgen of veracity may be found in the historical narratives. For example, commenting on extra-biblical inscriptions mentioning Israelite and Judahite kings in connection with international events referred to also in the Bible, he writes that they show only that biblical evidence on the succession of kings and synchronisms „are not totally misleading“, and that after biblical and extra-biblical data are compared one may conclude that the history of the biblical historians „is not totally devoid of historical information“. Surprisingly and strangely, Lemche writes about the period most crucial to most minimalists, but, apparently, no longer to him, „the Persian period is, finally, a dark spot on the historical map of Palestine. We know nothing about this period. Ezra, the great hero of post-exilic Judaism is probably a late invention (by Pharisaic authors? )“; cf. LEMCHE, „On the Problems of Reconstructing Pre-Hellenistic Israelite (Palestinian) History“, 5.5; 8.9. 28 N.P. LEMCHE, „Ideology and the History of Ancient Israel“, SJOT 14 (2000) 169-173, 190-193. The contradiction between his assessment of the Persian period in this statement and that cited in the previous footnote, both published the same year, has not yet been clarified in subsequent publications. 29 For this reason the controversial book by K.W. WHITELAM, The Invention of Ancient Israel. The Silencing of Palestinian History (London 1996) has had no significant ongoing role in minimalist discussions. It is beside the point. A minimalist, Whitelam adopts the anti-Orientalist stance of the literary critic E. Said in critiquing both maximalists and minimalists. All are faulted for being Anglo-European scholars and for writing in the etic terminology of western scholarship (ibid., 393-370, 119-121, 203-222, 234, 236). The book, a cleverly written rhetorical polemic, is all negative criticism. It presents neither a positive agenda nor any „how to“ formulae of its own nor does it even suggest how unsuppressed history might look. Astonishingly, Whitelam reveals only in the last sentences on the last page of his book that throughout he only assumed the existence of the history that he claimed was suppressed. It has not yet been „(re)discovered“ (ibid., 237). There is no historical revisionism here, only a preference for silence. 33 Problems using dates provided by carbon-14 analyses are apparent in the fact that different laboratories in Europe, Israel, and the United States working with similar samples provide different B(efore) P(resent) dates as do the same laboratories with the same samples. Among the sources for the discrepancies are the types of samples provided, their quality of preservation, and the problem of contamination before and after being submitted to the laboratory for analysis. Despite this, carbon-14 dating of grain and wood samples from well defined Iron Age strata at sites such as Bethsaida by the Sea of Galilee, Dor by the Mediterranean coast, and Tel Rehov south of Bethshean and, of course, Megiddo have now become part of the debate because the range of dates obtained have been interpreted as providing relevant limits. Dates provided by samples from Dor reportedly support some of Finkelstein“s low chronology dates while those from Bethsaida contradict them completely. Complicating this picture is the fact that archaeologists do not always publish the dates of all samples reported back to them by the laboratories, only those which appear useful. This matter is now being engaged by an important project, conducted by Drs. I. Sharon and A. Gilboa at the Hebrew University Institute of Archaeology. Their project coordinates all carbon-14 data in the hope that patterns in the discrepancies can be discerned that will help work out the bugs so that this and other high-tech approaches will be able to provide absolute dates independent of pottery chronology. Its success will depend on archaeologists providing them with all information about all tested samples. 34 I. FINKELSTEIN, „The Date of the Settlement of the Philistines in Canaan“, TA 22 (1995) 218-225, 229-233; S. BUNIMOVITZ – A. FAUST, „Chronological Separation, Geographical Segregation, or Ethnic Demarcation? 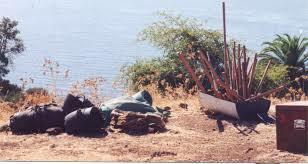 Ethnography and the Iron Age Low Chronology“, BASOR 322 (2001) 1-3. 35 E.g. A. MAZAR – J. CAMP, „Will Tel Rehov Save the United Monarchy?“, BARe 26/2 (2000) 48-50. FINKELSTEIN“S presentation of his case appears in the following essential studies: „The Archaeology of the United Monarchy: An Alternative View“, Levant 28 (1996) 177-187; „The Stratigraphy and Chronology of Megiddo and Beth-Shan in the 12th-11th Centuries B.C.E.“, TA 23 (1996) 170-184; „Bible Archaeology or Archaeology of Palestine in the Iron Age? A Rejoinder“, Levant 30 (1998) 167-173; „Hazor and the North in the Iron Age: A Low Chronology Perspective“, BASOR 314 (1999) 55-70; „Hazor XII-XI with an Addendum on Ben-Tor“s Dating of Hazor X-VII“, TA 27 (2000) 231-247. 36 Aside from qualified acceptance of some of his positions by two colleagues at Tel-Aviv University, D. Ussishkin and Z. Herzog, I am unaware of Syro-Palestinian archaeologists, including those with no vested interest in Iron Age archaeology, who accept his overall thesis. Most rebuttals have been in scholarly presentations in Israel and the U.S.A., and many were repeated in public lectures. Fewer have been made in print, and these are by archaeologists whose sites Finkelstein re-evaluated in print in order to bolster his case: A. MAZAR, „Iron Age Chronology: A Reply to I. Finkelstein“, Levant 29 (1997) 157-167; A. BEN-TOR – D. BEN-AMI, „Hazor and the Archaeology of the Tenth Century B.C.E.“, IEJ 48 (1998) 1-37; A. BEN-TOR, „Hazor and the Chronology of Northern Israel: A Reply to Israel Finkelstein“, BASOR 317 (2000) 9-15; MAZAR – CAMP, „Will Tel Rehov“, 48-50. On Jan 10, 2001, a one day conference „The Question of the Tenth and Ninth Centuries BCE at Sites in the Land of Israel“, jointly sponsored by the Israel Antiquities Authority and the Center for the Study of the Land of Israel and Its Settlement, was held in Jerusalem. All reports presented there, from peripheral sites in the north, Horbat Rosh Zayit (identified as biblical Cabul), Rehob, Bethshean to southern sites such as Tel Hamid, Tel Batash (identified as biblical Timnah), Tel Safit (identified with biblical Gath), Lachish, and even from excavations in Jerusalem provided clear stratigraphical evidence for tenth century BCE strata and pottery assemblages. 38 An apologetic but low rhetoric rebuttal to this analysis is found in D. USSISHKIN, „The Credibility of the Tel Jezreel Excavations: A Rejoinder to Amnon Ben-Tor“, TA 27 (2000) 248-256. 39 Another element in argumentation supporting what is called the „low chronology“ was Finkelstein“s observation that tall collared-rim jars, characteristic of the twelfth-eleventh centuries are completely absent from stratum VI A at Megiddo, a stratum excavated both by the Oriental Institute of the University of Chicago and by the Tel-Aviv University Institute of Archaeology. In an intensive reinvestigation of records, photographs, and materials from the Chicago Oriental Institute“s excavations of the early twentieth century, Timothy P. Harrison of the University of Toronto uncovered evidence for the presence of such jars (in what is now called stratum VI A). Furthermore, Finkelstein informed me that in Summer 2000, his team discovered a restorable, whole collared-rim jar in the same stratum. Harrison“s work and the corroborating new discovery present data inconvenient for the proposed chronology. 40 FINKELSTEIN, „The Archaeology of the United Monarchy“, 177. 41 I. FINKELSTEIN – N.A. SILBERMAN, The Bible Unearthed. Archaeology“s New Vision of Ancient Israel and the Origins of its Sacred Texts (New York 2001) 45, 65, 68, 92-96, 284, 301-305. The book presents Finkelstein“s positions — the „New Vision“ of the title — on a number of key and minor issues in Israelite history, not only the tenth century debate, but it does so without comment as to their status in the field (ibid., 114-118, 141,142). In doing so, it misleads its intended audience which will include Biblicists unfamiliar with details of the archaeological debate. The book presents hypotheses as facts, not informing readers what is disputed and why, and it does not indicate that there are difficulties or uncertainties about the new vision, not of „archaeology“, but of a single archaeologist. 42 FINKELSTEIN, „Bible Archaeology or Archaeology of Palestine“, 167. Similarly, commenting on why the late Y. Yadin and Y. Aharoni dated Iron Age I at Hazor to the twelfth-eleventh centuries BCE, he writes: „… it is obvious that their dating was influenced by their historio-biblical bias more than by a thorough typological investigation. Yadin was eager to see his early Israelites settle on the ruins of the city which they had vanquished“ (ID., „Hazor XII-XI with an Addendum on Ben-Tor“s Dating of Hazor X-VII“, TA 27  237). The Hazor excavations were concluded in 1958. Yadin and Aharoni, both deceased, are faulted for not having reached conclusions similar to those of Finkelstein.